Identify what you can offer a potential employer; define your professional objectives; plan and support your search for employment; accompanies you through all the steps of your business project; from going back to school; to your integration to employment. Here is what OPJ counselors can offer you! And it’s all free of charge! OPJ is committed to building a privileged relationship with each individual, thus demonstrating our commitment in providing the best support, by offering a V.I.P. service to everyone. Want to increase your chances of getting a job and keep it ? 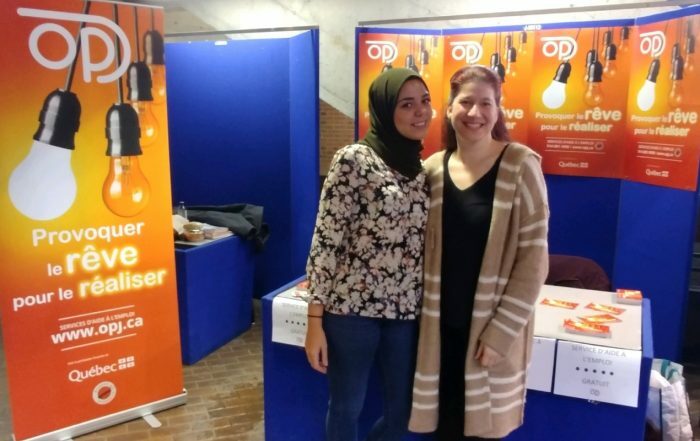 Today, OPJ counselors are at UQÀM until 19:30. Come meet them !!! 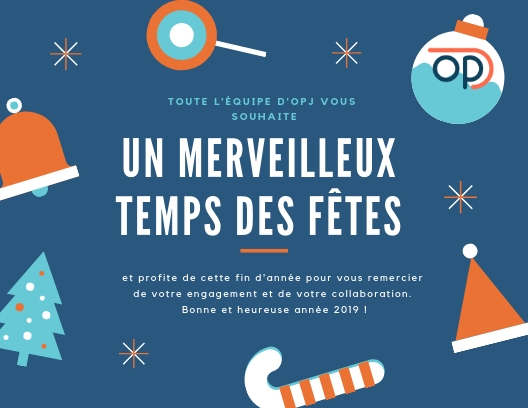 The whole OPJ team wishes you Happy Holidays ! OPJ is an excellent source of energy and a support system. At each meeting, I leave with excellent and positive ideas, my goals are clearer and I am able to visualize and plan concrete and realistic objectives. Their presence in the community is very important. It’s very nice to be in good hands, guided by experts that are attentive to our needs. I see myself guided by the team on a long term basis and I am proud to have had the courage to meet with them at their office, as I seem to be closer to meeting my objectives and I have aligned myself with their ideas and strategies. I would recommend using their services and encourage all young and motivated individuals to make that first step towards achieving help with their particular issues, doubts and concerns, like myself. Everything starts with us. Thank you, especially to Christian, for his vibrant spirit and energy. Just a short note to THANK all the team at OPJ. Since my arrival in Quebec and with OPJ, I was taken in charge by an extraordinary team. A team of individuals who are, devoted, competent and with an attention to detail, each in their own area of expertise. And to an employment counsellor who was very attentive (Marie-Lou). A solid and essential training program to start off my search for employment and help with my immigration issues. My counsellor knew how to guide me and refine my search. Their valuable advice also provided me with more information about Quebec and its culture. I appreciated the dynamic individuals that work at OPJ, their understanding and mutual aid from each one of them. Advice, an idea, a contact, everything is of value. Thanks again to the OPJ team and a special thank you to Marie-Lou for her help in the past 5-years. It is always a great pleasure to work with the team at OPJ. They are not only sympathetic, but a group of professional individuals that listen to the needs of their clients and partners. 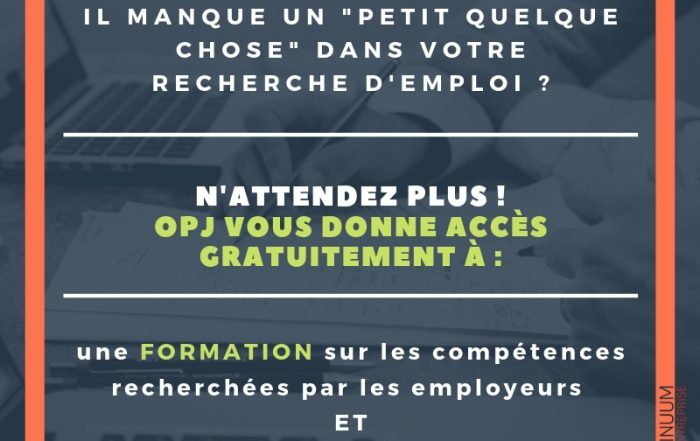 Being part of operations with the “Société de Développement Social” we seek organizations as mentors for those who are looking for jobs that they refer to us and a link of confidence was immediately created with the counsellors at OPJ. As well, they are a passionate team and I wish them every success!